Our free Building Product Specifications have been written by CSI experts and are available in the CSI 3-part and the Canadian CSC formats for building and construction professionals. Our 09 67 00 Fluid-Applied Flooring specifications are available to download in DOC, or PDF format and come complete technical data profiles, applicable ASTM standards, performance features and product attributes. Apellix, the safety partner for the technological revolution, is proud to announce that its Smart Bee™ aerial robot was named an Innovation of the Year award winner at the Materials Performance annual Readers’ Choice Corrosion Innovation of the Year Awards. 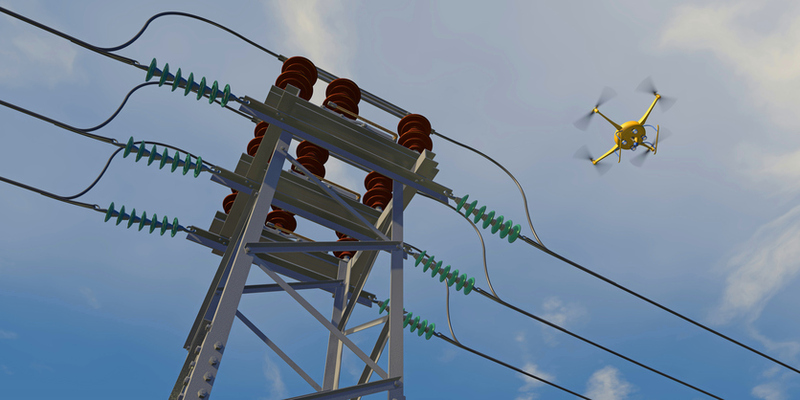 A software-controlled quadcopter (drone) that tests paint thickness on structures at heights up to 150’, the Smart Bee was selected by corrosion control professionals worldwide as the winner of the Computer Assisted DFT Measurement Drone in the testing category. Recognizing the most timely and useful innovations in the field of corrosion control worldwide, the awards, sponsored by NACE International, are judged by a distinguished panel of corrosion experts who reviewed innovations developed by individuals, companies, and organizations from around the world. The Smart Bee is the first commercial application from Apellix based on its patented software-controlled aerial robotics platform. It takes dry film thickness (DFT) measurements consistent with SSPC-PA2 standards featuring the Fischer Technology, Inc. DUALSCOPE FMP 40C system. The Smart Bee can record DFT measurements on surfaces up to 150’ above the ground, eliminating the need for scaffolding and cranes, keeping workers safely on the ground, and increasing productivity by 15x, all while automatically recording every measurement with the time, date, photo confirmation, and additional project data. The Smart Bee is currently available on a limited basis to industry partners who will participate in development of future enhancements, including DFT Measurement on non-ferrous surfaces. Apellix expects to release a beta version of its Worker Bee™ solution – a spray painting drone that can coat between 5,000 and 12,000 square feet per hour on elevated structures up to 100’ – to industry partners in Q4 2017. The company is also working with several construction engineering firms to develop additional applications of the aerial robotics platform. Apellix, an early-stage software company based in Jacksonville, Florida, develops software and other tools to precisely control and allow its custom-built aerial robots to perform tasks that are otherwise dangerous or difficult for humans to perform. Please contact US Coatings for more information or if you have possible use cases.